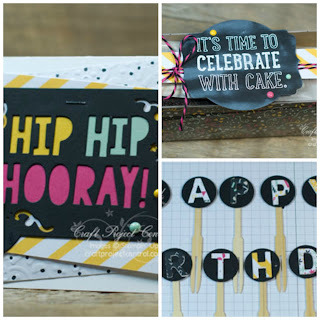 Just Julie B's Stampin' Space: It's Time to Celebrate...with Cake! Celebrate any occasion…with cake…and the calories don’t count! 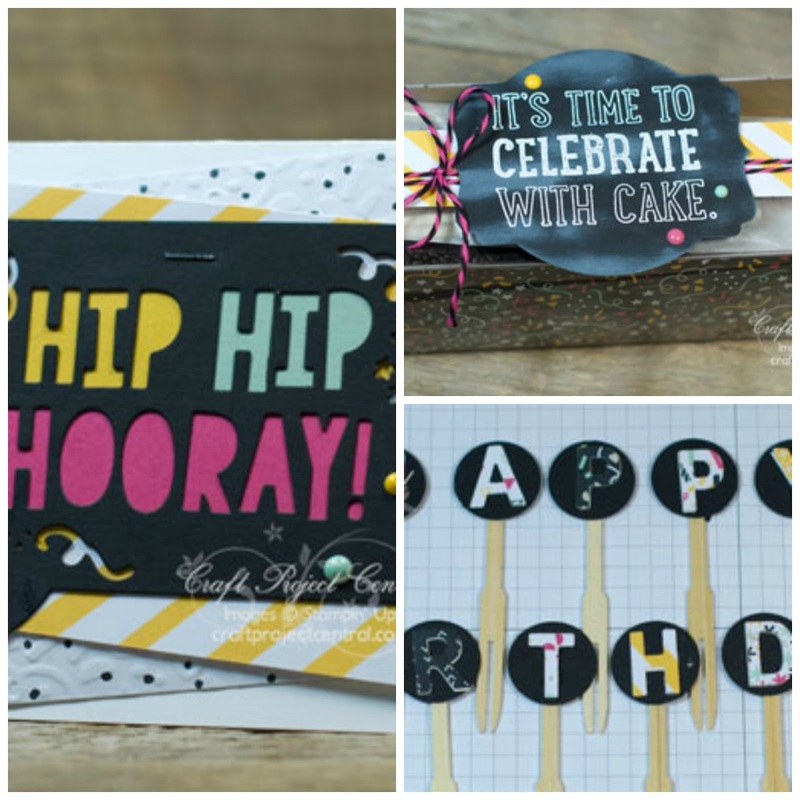 This project begins with a card that features the Party Pop-Up Thinlits Dies…with a fun Hip Hip Hooray front and center! The card also uses the It’s My Party Designer Series Paper Stack…and it’s bright and fun colors and patterns carry over to the cake picks and the birthday box. This easy, sweet little project sets the lucky recipient on the way to celebrate any occasion…in a delicious way! This fun project was made by Sue Plote, and you can get her tutorial when you subscribe to the month of January over at Craft Project Central.